We are in the third year of school and adjusting to the back to school routines. One thing I know many moms struggle with is getting every out the door. Stress free school mornings seem almost impossible when reality is that shoes go missing, last minute forms appear needing to be signed, and lunch boxes sit empty. Having my fair share of stressful mornings, it has been a goal of mine to simplify things in order to have stress free mornings, or at least stress-less mornings. The last thing I want is for my kids to go off to school on a stressful note, so we are working on implementing good rhythms to help ease the morning stress. It does not take a lot of time to prepare the night before and it is worth it. If you pack your child’s lunch, make sure it is ready for the next day. Lay out clothes or have your child pick out their outfit for the day. 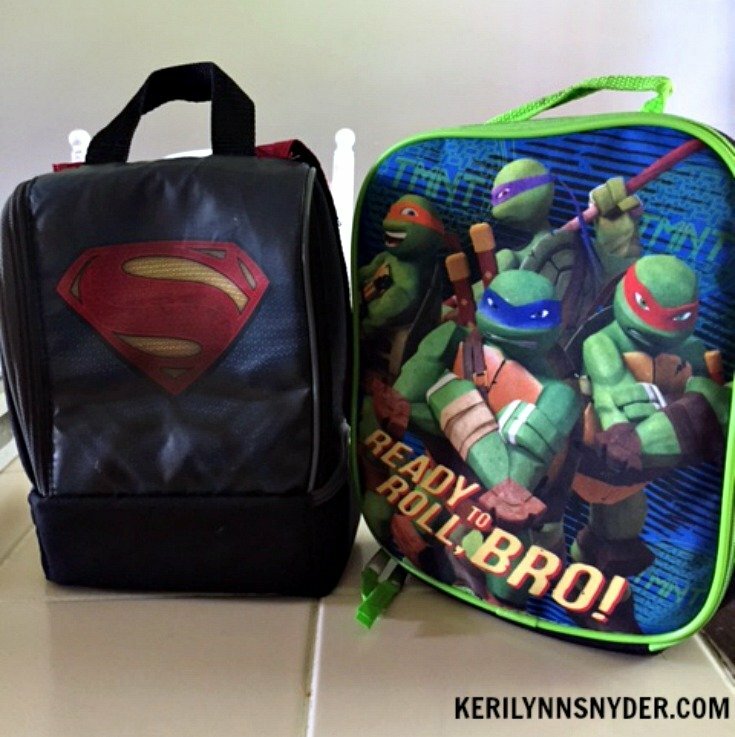 Remind your child to have their book bags packed and ready to go so you are not trying to find homework and folders as you rush out the door. Have well established routines and expectations. When you teach your kids to follow routines and remind them of what is expected, things will start to flow more. Backpacks can have landing zones where they are expected to be put. . It will take a lot of repetition to teach routines, but eventually they will catch up. Breakfast is an important meal so you do not want your kids to miss it, but you can keep it simple. School mornings are the perfect time for a bowl of Cheerios. My boys have a bowl of Honey Nut Cheerios almost every single morning. Since I am cautious about what my kids are eating, I love that there are no artificial flavors and no artificial colors in the Cheerios. Sometimes they add in some berries, but most of the time they love them with milk or even plain. Check out our video we made sharing how we enjoy Cheerios in the mornings. Always allow for extra time and grace. There are going to be those last minute stressors. When you mentally prepare for these moments, they will seem less sudden and stressful. Remember, to allow for grace when things do not go as expected. Your kids are learning and no one is perfect. When you release the need to have perfect mornings, you will be able to embrace all of the little imperfections. Are you ready to have stress free school mornings? It is possible friend! Remember, it will not be perfect, but you can lessen your stress by taking some practical steps. 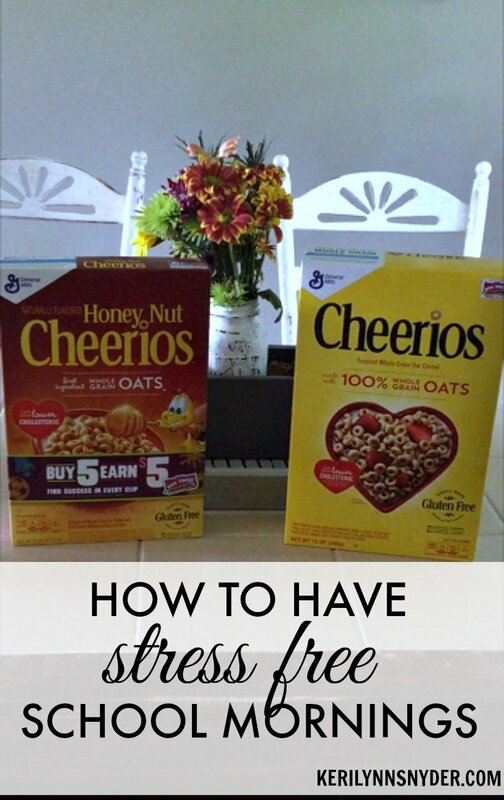 Take action today in creating a stress free morning by heading to your local grocery story to pick up a box of Cheerios. I should really adhere to a routine. Thank you for this reminder. Thanks Melissa, I hope that helps! Takes a lot of practice to keep going with it. Haha! I love that! So funny! Why are cheerios so simple yet so good!? So true- everyone’s a fan! Perfect advice! I think keeping breakfast simple is so important. Thanks- yes we like to do a bigger brunch on the weekends and keep it simple during the week. It helps! Yes, they are! These definitely help lessen the stress. Great tips, with my daughter starting preschool this year, I’ll be using some of those! We love Cheerios here! These are great tips for school mornings! Cereal is def my go to. I am all about simple in the morning! Great tips! I’ve started packing all my kids snacks/lunches the night before! I just grab them in the morning and stick them in our cooler bag! 🙂 Makes getting out the door that much easier! That is so helpful! I find that I never have as much time as I think I would in the morning. Smart move!